Designing Sound: Hi Michael, first of all would be great to hear something about your career… How you get started with sound design? And how do you get involved with the video games industry? Michael Kamper: I was always fascinated by how movies were made and I would always watch the “making of” programs that, at the time, would air on PBS (Public Broadcasting Service, a non-profit broadcasting television service in the US). I had taped a few and watched them more than I would watch the movie themselves. This is where I first learned about people like Ben Burtt and Gary Rydstrom and that someone could actually make a living making noise for movies. I was fortunate enough to attend a high school that had its own student run radio station. My mother wanted me to take a summer school class before my freshman year to give me a head start, so I took the radio production class. In my sophomore year I started producing radio dramas starting with the scripts for the original BBC version of “The Hitchhiker’s Guide to the Galaxy”. I also adapted the “Batman” movie from 1968 and “The Breakfast Club” into radio dramas, casting my friends in the parts and spending countless weekends in the school’s studio cutting them all together using a 2-Track machine and carts. For sound design, I used tracks from old sound effects records, sfx from music albums, and even dialing in small amounts of feedback through the old mixing board to produce reverb. I went to college initially to continue my work in radio but I soon moved over to film, realizing I could combine my two loves; making movies and making noise into an actual career. I graduated from Columbia College in Chicago with a degree in Film Sound and moved out to Southern California. My first audio job was an intern at the now defunct EFX Studios in Burbank. There I met an amazing group of designers who basically taught me everything I know about sound design. They were still using the Synclavier system for sfx at the time and just beginning to use the original Sound Designer program and early iterations of Pro Tools. I was eventually able to get up to speed and started cutting on some movies and TV shows. EFX was also one of the first studios doing audio for video games. They worked a lot with Charles Deenen and Interplay. The first game I worked on there was “Heavy Gear 2” for Activision. After that, I did a lot of game audio asset creation and always found it to be a nice change of pace from doing linear editing for pictures. After about 10 years in Hollywood, I felt like I needed a change of pace and some new challenges in my career. Luckily, Greg Allen, a friend who had hired me as a contractor was looking to add an Audio Lead to his team at EA Chicago. It seemed to be the perfect fit so I jumped at it. Unfortunately, EA Chicago closed a year later but I managed to land at 2K Marin as they were staffing up for “BioShock 2”. DS: How was the relationship with all the development team? How long was the development cycle of BioShock 2? MK: I had a great relationship with the rest of the dev team. I worked very closely with the other leads but also had a lot of creative freedom in terms of developing the guidelines for the soundscape for the game. I also worked closely with our Creative Director, Jordan Thomas, in helping to shape our score with our fabulous composer, Garry Schyman. The development cycle was roughly two years; counting all the preliminary work that went into the game, although in the beginning, we also had to cope with forming a new studio, as well as most of the tech team working on the PS3 version of the first game. DS: How did the art concept and the story of the game influenced you and the team to create and lead the sound? 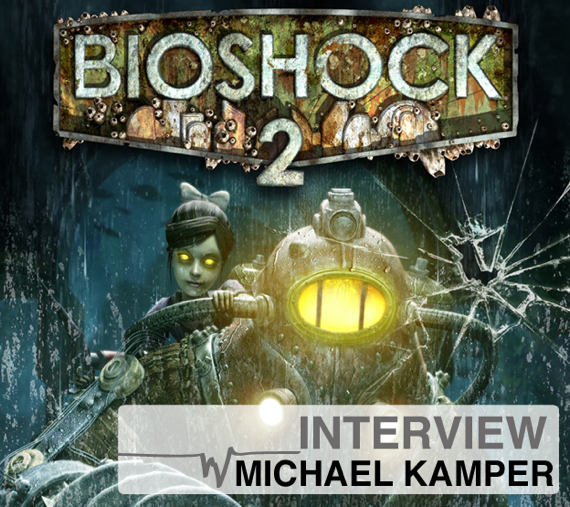 MK: Certainly, the fact that the game was going to be set 10 years after the first BioShock established the atmosphere of BioShock 2. I really wanted the ambience to sell the fact that Rapture was constantly falling apart around the player. We put a lot of creaking and groaning throughout the backgrounds. As you progress, you are also getting closer and closer to Lamb’s (the main antagonist of the game) domain. The audio in that level has a lot of weird non-diegetic sounds that really play off the insanity of the Splicers. We took those elements and stretched them backwards through the game so the player slowly encounters more and more of those elements, illustrating how “infected” the world around the player is becoming. 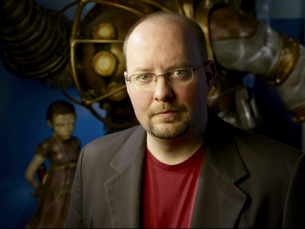 DS: There is a hard emotional factor on the storytelling in BioShock. Did you use any special technique or element to help on this aspect? MK: I tried to compliment the emotional strings that run throughout the story with the music implementation. Garry Schyman produced an absolutely amazing score for us and he provided me a lot of material to play with. The main theme was in the first track that he created and it evoked such a perfect sense of loneliness and longing that it absolutely mirrored the struggle that Delta and Eleanor are feeling as they try to reunite. Garry was able to provide the separate tracks for me to that piece and I was able to use those throughout the game as a leitmotif in a way. I used the very beginning of the track during the opening cutscene, using the violin as young Eleanor’s “voice”. During Delta’s first ocean walk, I used only the cello portion. After Eleanor’s first extended telepathic communication with Delta, you can hear a portion of the violin trailing away in the background, like it’s the echo of the pair-bond moment you just shared. After establishing this, I then used bits of the violin and cello for the Save and Harvest moments that Delta does during the game. The culmination of this musical thread through the game comes as the track is used during the ambiguous ending where the whole track finally plays out; picking up where it left off from the opening cutscene. It is such a beautiful piece and, being the theme of our game, I wanted to make sure it became an emotional thread that spanned the journey that both Eleanor and Delta are on. DS: Being a sequel, what are the new challenges on the sound of the game? MK: We certainly had to live up to the beautiful job that everyone did on the first game. BioShock had been so lauded for its audio that it was a little intimidating taking this project on. Except for Sound Designer Justin Mullins down in 2K Australia, none of us had worked on the first BioShock, so we were all basically coming into the project as fans of the first game. Our goal, though, was to do our best to service the game and story we had in front of us and provide the best damn sound job we could for BioShock 2. DS: One interesting aspect in BioShock 2 is that the player now has the role of Big Daddy from the beginning of the game, and you have the ability to use two hands, new weapons, plasmids, etc… How the sound team dealt with this new main character? MK: It certainly was a challenge to make the player really feel like he was some flavor of Big Daddy. They had been established as these huge, slow-moving creatures in the first game and if we had tried to stay true to that version of the character, it would have gotten really annoying for the player. I went back and forth a lot on the footsteps and the sounds of movement to help sell the size of Delta to the player and I think I ended up in a pretty good place with it. Another thing that was important to me in selling who you are is the effect reaction sounds have on the helmet; bullets, melee hits, and even the water drips pinging on the metal of Delta’s helmet, these are all important aspects of the audio that help the player buy into who they are as they move through the game. DS: I love the ambiences of the game. You really feel in a deep, dark and creepy place…the underwater scenes are also great. How were they created? How was the recording and creation of those new environments? MK: I don’t believe any new ambiences were specifically recorded for the game. We did, however, have a great background sound system implemented by our Audio Programmer, Guy Somberg. It allowed for multiple stereo streams to be placed on the player, depending on the room they were currently in, as well as taking a selection of mono sounds and randomly playing them in different zones around the player. We could preview all of this from the tool and quickly find the right ambient qualities we wanted for the various spaces around the levels. This allowed us to quickly iterate on our ambiences and implement them into the levels with ease, and helped create the randomness I was looking for in the background effects. DS: The new multiplayer mode also comes with new features, such as specific plasmids, environments, etc. In terms of sound… what were the most difficult feature to develop? MK: Our multiplayer audio was produced with the rest of the game up at Digital Extremes by George Spanos, who did an amazing job. I gave him a lot of feedback on his work and I think the biggest challenge was simply making sure that there was a certain amount of cohesion between our projects. In a lot of ways, he had the unenviable task of duplicating a lot of the feel of the first BioShock since multiplayer takes place closer to that period. He really did a great job and the audio really helps bring the player right back to that experience making it feel like it lives in the same world. DS: The dialogue on BioShock is always fantastic. There are different types of effects on the voices, such as the Little Sister’s voice, Big Daddy’s growl, the ghosts’ scenes, etc. How was the sound processing there? MK: For the first game, all of the dialogue processing was developed as a series of batch processing presets in Sound Forge. For BioShock 2, we did our best to replicate what they had done so there was some consistency between the two games in this regard. Various EQs, reverbs, reverse reverbs, distortions, and other effects were used. We also had to make the processing as simplified as possible so that our localization team located in Windsor could easily duplicate what we had done so that the game sounded as similar as possible across all the languages. DS: What were the main tools used by the team for creating the sound of the game? MK: Myself, Senior Sound Designer David Steinwedel, and Dialogue Supervisor Michael Csurics mostly used ProTools and Sound Forge for asset creation and manipulation. Our sound design contractor Andy Lackey used Nuendo. I, basically, gave everyone a choice of what tools they were most comfortable with, I didn’t want to dictate what they should be using and potentially limit their creativity. As long as they produced great sounding assets, it wasn’t really important to me what they were using. MK: I hired David Farmer, a really great sound designer (who has created a lot of wonderful vocal elements for many films) to design the Big Sister vocals. After I had found the general sound that I wanted from the bird and hyena recordings, David went off and played with a number of different types of sources and plug-ins. I provided him with a bunch of my own sources, including a full recording of my wife doing a number of dolphin-like emotive calls covering all the different kinds of reactions we wanted the Big Sister to have. David eventually produced numerous layers of vocals that had been processed about 10 different ways in this massive Pro Tools session. I was able to take those layers and mix them down into the final Big Sister vocals. All those layers really provided me with a dynamic pallet to choose from that allowed me to create the various emotive calls and shrieks that ended up in the final game. DS: And finally… what about the implementation and the audio engine? MK: We used the FMod sound system for our basic audio engine and FMod’s designer tools for event creation. Guy created a wonderful collection of tools that greatly enhanced the implementation process. On top of the background tool as previously mentioned, he also made a really wonderful Mix System that allowed us to use a lot of dynamic in-game mixing, as well as a number of effects and randomization tools that saved us a lot of time and memory in the long run. Great interview, thanks for digging for some implementation specifics. It was great to hear a bit about how they chose to extend the functionality of FMOD & FMOD Designer. Great interview! Perfect timing as well.. I’m just finishing up Bioshock2 (just entered Persephone). 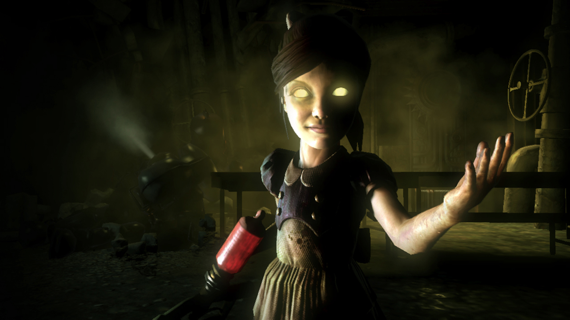 I have to say the original Bioshock just floored me in terms of Soundscape… Music…Ambience…SFX. Bioshock2 is equally if not more of a sonic ride. Michael and his team did a phenomenal job of continuing the upward trend and helping to deliver a complete game experience. Kudos! Мужчина, как известно в силу своих природных способностей воин. не ищет пропитание, не добывает в поте лица золото в Магадане, то чем ему еще заняться в свободное от тяжелой работы время. Безусловно, сексом, во всех его возможных вариантах. Вы скажете, что для таких дел под рукой найдутся жены и любовницы, но, положа руку на сердце, для настоящего мачо это не вариант, так как он полон желания и страсти, а член, как курок автомата, всегда на взводе. Острые ощущения. – вот самый лакомый кусочек для нашего самца. Может ли дать эту остроту ощущений женщина, с которой живешь десяток или больше лет, и видел ее в самом неприглядном и неухоженном виде. Или просто любимая дама, за доброе отношение которой к тебе придется немало заплатить, постоянно креативеть, что-то придумывать, тратить дорогое время. Ведь как должен вести себя настоящий мужчина? Правильно: «Пришел, увидел, овладел!» Тем более, женщин вокруг, которые только и мечтают о том, чтобы подарить свое тело нам, сильным мира сего, буквально за копейки (посчитайте на калькуляторе) просто немеряно. Таким образом, без хорошего и доброго секса, мужчина не может чувствовать себя настоящим мужчиной. При этом обращаться к такому инструменту как онанизм противоестественно. Тем более в эпоху Интернет, и от эффектных женских тел, которые вам вполне могут быть доступны, просто рябит в глазах. И это тело, если вы захотите, почти мгновенно , будут у ваших рук и ног. Раньше об этом и подумать было невозможно. Да нет же, конечно. Наоборот, мучимые сомнениями , Бездарно протирали штаны у ТВ, внимая ведущим программы «Международная панорама». А сейчас…, – раззудись рука, размахнись плечо! Вызвать проститутку на дом сегодня не стоит ничего, и поиметь ее так, как хочется, а с женой – мама не велит. Проститутка за это только спасибо скажет, ведь для нее это естественная атмосфера, исполнение обязанностей. Отметим, что в российских мегаполисах, порой напоминающих огромные человеческие муравейники, мужчины часто чувствуют себя не в своей тарелке. Одиночество, депрессии, фобии, психосоматические заболевания – вот тот «джентльменский набор», который может принести мужчине одиночество в наполненном людьми городе , где на каждом шагу можно встретить настоящую красавицу, которые хотят получить хотя бы немного денег, за свой нелегкий труд – ведь на каждый вкус не угодишь. Хоккеисты и футболисты , затрачивающие огромное количество сил, вряд ли им позавидуют . Поэтому, заботьтесь о себе, но и цените ювелирную работу девчат, которые могут почти на ювелирном уровне ублажать вас. Вызов путаны на дом, да еще с использованием Интернет и модерируемого сайта, куда опасная для здоровья мужчин женщина никогда не будет допущена – это огромный прорыв в организации секс услуг. Мужчинам, которым нужна женщина не надо посещать разные сомнительные учреждения, где его ждет масса опасностей: могут избить, отравить, отобрать деньги, заразить венерическим заболеванием. Вызов путаны на дом – ноль криминала или заражения неприятными заболеваниями, передающимися половым путем. Хорошо известно и то, что, собственные стены дома работают на успех. Если футболисты на своем стадионе чувствуют себя гораздо комфортнее, чем в гостях, то и мужчина в домашних условиях , в плане секса, не проявит себя с самой лучшей стороны? Жалко тратить время на пустые разговоры. Кого невозможно убедить, то и не зачем метать бисер. Пусть скучают в одиночестве, ничего не меняя. Однако мужчины, чьи предки были в сексе настоящими мустангами, перестаньте жевать бесконечную жвачку сомнений. Нравится девушка на фото? Так берите же ее и любите по полной программе! Вы заслужили этого. Помните и о том, что в этом сервисе, работают профессионалки ультра си, мастера своего дела. Добавим следующее. В отличие от своих коллег на западе, природа одарила их значительно богаче. сиськи так настоящие Сиськи, если это попа, то это – Попа! Прочь сомнения, коллеги. Вперед, навстречу заре навстречу И ждет вас тогда счастье, наряду с самыми прекрасными и гибкими девушками на земле. Мужчина, как известно по своей природе воин. Если он не воюет, не пропадает в поисках золота на далеких магаданских приисках, то делать ему просто нечего, кроме как заняться одним приятным делом. Конечно же, сексом, любыми описанными, существующими, а также неописанными и не существующими способами. Вы скажете, что для таких дел под рукой найдутся жены и любовницы, но на это мы убедительно скажем, разве это вариант для настоящего мачо, в груди которого бьется горячее сердце, а половой член даже думать не дает. Острые ощущения. – это в сексе все. Получите ли вы ощущение нового от женщины, с которой прожил бок о бок двадцать лет, и видел ее неухоженной, неприглядной. Или просто любимая дама, за любовь которой к вам придется немало заплатить, всегда быть креативным, терять огромное количество времени. Ведь как должен вести себя настоящий мужчина? Правильно: «Пришел и сделал все, как хочется?» Тем более женщин, готовых отдаться нам, сильной половине человечества, за относительно небольшие деньги (посчитайте на калькуляторе) просто немеряно. Таким образом, без секса, пусть и не очень страстного, пылкого, даже в чем-то механического, мужчину нельзя назвать мужчиной. При этом обращаться к такому инструменту как онанизм противоестественно. Тем более сегодня, когда есть Интернет, (например, на нашем ресурсе), которые вам вполне могут быть доступны, просто щемит в груди. И это тело, если вы захотите, почти мгновенно , будут ваши. Разве кто-то об этом мог раньше мечтать?. Да нет же, конечно. Наоборот, терзаемые комплексами, безрадостно проводили свое время у телевизора, внимая ведущим программы «Международная панорама». А сейчас…, – раззудись рука, размахнись плечо! Сегодня ничего не стоит вызвать проститутку на дом, и получить от нее все, о чем только мечтаешь, а с женой – мама не велит. При этом проститутка буквально рассыплется в благодарности, так как для нее это работа, исполнение обязанностей. Отметим, что в Москве, Питере, других больших городах, несмотря на то, что они порой напоминают собой огромные муравейники, отдельный человек обычно чувствует огромное отчуждение. Одиночество, депрессии, фобии, психосоматические заболевания – вот тот «ассортимент», который несет нашему мужчине одиночество в городе, в котором проживают миллионы людей, где на каждом шагу можно встретить настоящую красавицу, которым и нужно то от вас, чтобы вы немного им заплатили за их непростую, за свой нелегкий труд – всем клиентам надо угодить, всех обслужить по высшему разряду. Хоккеисты и футболисты , живущие на пределе возможностей, вряд ли им позавидуют . Поэтому цените себя, свое здоровье, самочувствие, но и цените работу девчат на самом высочайшем в своей профессии уровне доставлять вам огромное удовольствие. Вызов путаны на дом, с использованием Сети и сайта, куда зараженная ВИЧ шлюха никогда не попадет – это мощный прорыв в организации секс услуг. Мужчинам в поисках мимолетной любви не надо посещать заведения, репутация которым, прямо скажем, сомнительная, где его могут подстерегать всякого рода опасности: могут наподдавать, отобрать наиболее ценные вещи, просто заразить. Вызов путаны на дом – ноль криминала или заражения неприятными заболеваниями, передающимися половым путем. Между тем, не будем забывать, что, свои стены дома помогают. Ведь победы, например, к тем же спортсменам, приходят в домашних условиях, то и мужчина в домашних условиях , в плане секса, не проявит себя с самой лучшей стороны? Что же, нет времени и оно дорого, чтобы тратить его на то, чтобы переливать из пустого в порожнее. Кого невозможно убедить, то и не будем убеждать. Пусть скучают в одиночестве, ничего не меняя. Те же из вас, чьи предки были в сексе настоящими мустангами, перестаньте жевать бесконечную жвачку сомнений. Девушка на фото влечет вас с необоримой силой Так берите же ее и любите по полной программе! Вы этого заслужили. Помните и о том, что у нас в этом сервисе, работают профессионалки ультра си, гении своего дела. Добавим следующее. В отличие от проституток Запада, природа дала им очень многое. Если это грудь, то это Грудь, задница, так Задница Уберите прочь сомнения, коллеги. Вперед, на абордаж! И ждет вас тогда счастье, наряду с самыми прекрасными и мастеровитыми женщинами на планете. Предлагаем Вам услуги по монтажу электропроводки и слаботочных систем: видеонаблюдение, контроль доступа, локальные сети. Работаем по Санкт-Петербургу и области. Проводим работы в квартирах, загородных домах, офисах, гаражных кооперативах,складских помещениях и.т.д. Есть хорошый опыт в установке и настройки скрытых систем видеонаблюдеия с удалённым просмотром изображения через интернет. ремонт почти закончил а с мебелью еще не определился!?? жидкий камень говорят самое техологичное на сегодняшний день! Самый нормальный сайт для просмотра фильмов онлайн, который попадался. Просмотр фильмов онлайн бесплатно без регистрации позволяет не скачивать фильм и не тратить время на его загрузку. Лучшие фильмы онлайн собраны здесь. Люди, давайте творить добро! Давайте показывать друг другу, что всё-таки жизнь прексная и доброта превыше всего! Если Вы заинтересованы в данной работе – заполните заявку на нашем сайте. Доброго утра, я хотел бы оповестить вами о свежем необычном блоге Расстановка стоп-лоссов. На этом портале вы найдете много полезной и красочной комментариев об бирже, биржевой торговле и облигациях. Вы можете так же увидеть обучающие аудио комментарии, которые помогут тебе понимание информации в таких понятиях как инвистиции и инвистиции. Ребята , нужно Ваше мнение , кто знает или сталкивался. Есть потребность купить колечко с бриллиантом массой от карата, но понимаю , что это стоит очень дорого и мне не по карману. Кто-нибудь вообще держал такие в руках, они правда прекрасны ? Hello all! I like this forum, i found multifarious gripping people on this forum.!!! For your convenience, we just published an article on our blog that lists the 10 first quick tips for #GameSynth that we posted on Twitter. Also, tips 11 to 20 are coming soon! DK... #DONKEYKONG! Woo! It’s so nice to finally meet you, dude! 🤙 DK here was made by Avi S., during only ONE of his classes with Instructor Jessica S.!